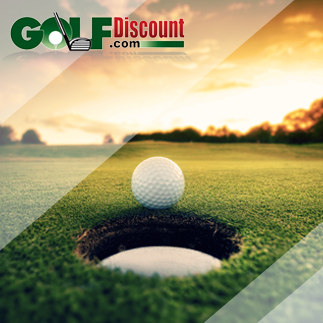 With spring around the corner, now is the time to consider your golf equipment for the coming golf season—and that includes golf balls. In the above video, PGA.com previews what’s new in golf balls from four top manufacturers: Callaway, Titleist, Wilson Staff and Bridgestone. Callaway has made big changes to the Chrome Soft and Chrome Soft X. Graphene is believed to be the strongest material in the world. (It won the Nobel Prize in 2010.) Graphene is in the new Chrome Softs. And it makes them faster. It’s also in the Super Hot, a distance ball at a lower price with some crazy hot colors. The Pro V1 and Pro V1x are still the flagship of the Titleist line of golf balls. The latest Pro V1 is longer off the driver and still feels great. The Pro V1x flies a little higher while not spinning quite as much. New for 2018 is the Tour Soft, which replaces the NXT line. There’s also the Velocity that is less than $30 per dozen, goes forever and has lots of cool colors. The Titleist AVX is another newcomer that has received stellar reviews. Expect to see around 10 yards of added distance with AVX over the Pro V1 and Pro V1x. To learn more about the new AVX, please read our Titleist AVX expert review. The new Duo Soft is the softest ball on the market. With just a 29 compression for a very soft feel, a shallower dimple pattern and a larger core lead to longer distance. Less spin off the driver helps make Duo Soft very straight, too. It comes in bright colors called Optix. Bridgestone has an all-new line of tour golf balls. The Tour B line includes the Tour B X, with lower spin, and the Tour B XS, which is softer with more spin. 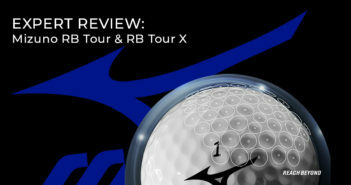 The Tour B RX and Tour B RXS are designed to provide a little more distance for both low- and mid-handicap players, with the Tour B RXS being a little softer for more control around the greens. And, yes, there’s one in Optic Yellow. The 4-piece Pro V1x is slightly higher launching and firmer feeling than the 3-piece Pro V1, but both versions offer exceptional workability, consistent flight, superb durability and incredible greenside control. For me, I prefer the slightly firmer Pro V1x version. No yards are left on the tee box and the ball stops in a hurry on approach. I can trust the ball will react the same way, every time. When the original Chrome Soft ball hit the market, it was a little too soft for my liking. So, even though the Chrome Soft X is a little bit firmer, I was reluctant to give it a try. My reservations should have been left at home because this ball is a flat-out performer from the start! The addition of Graphene to both 2018 Chrome Soft and Chrome Soft X versions was a game changer. A 4-piece construction, these balls are designed with Graphene nanoparticles infused into the outer layer of the Dual Soft Fast Core. The enlarged core allows for lower spin off the tee and with long irons, and a thinner urethane cover provides shot stopping greenside control. The main difference between the two versions is feel. The Chrome Soft is softer feeling than the soft feeling Chrome Soft X. Choose which version feels best for you and fire away! You’ve probably seen the commercial of Jon Rahm saying, “Seriously, you gotta try this ball.” The only 5-piece Tour ball on the market, the TP5x is played by half of the top 10 players in the Official World Golf Rankings (July 2018). Both the TP5 and TP5x consist of 3 inner layers and 2 cover layers. The main difference between the two balls being the thickness of the cast urethane cover. The TP5x has a thinner, firmer cover that produces more speed, a higher trajectory and less spin than the TP5. However, to experience the full extent of the benefits from the thinner cover of the TP5x you’ll need a fast swing speed. While most players with higher swing speeds will opt for the TP5x, once again it will come down to personal preference in feel and which ball flight fits your eye best. What golf balls do you currently play? Do you plan on testing out any of the newcomers this year? Let us know in the comments!